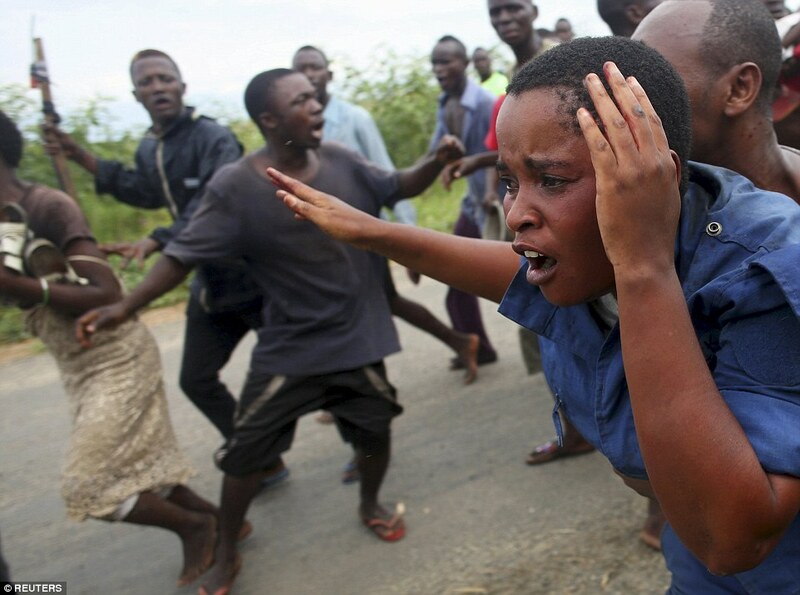 A Burundian police officer opened fire on anti-government protesters at point-blank range, causing a furious mob to attack her with stones and knives. 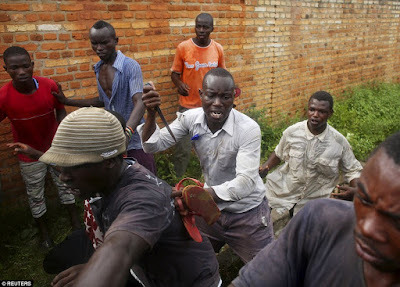 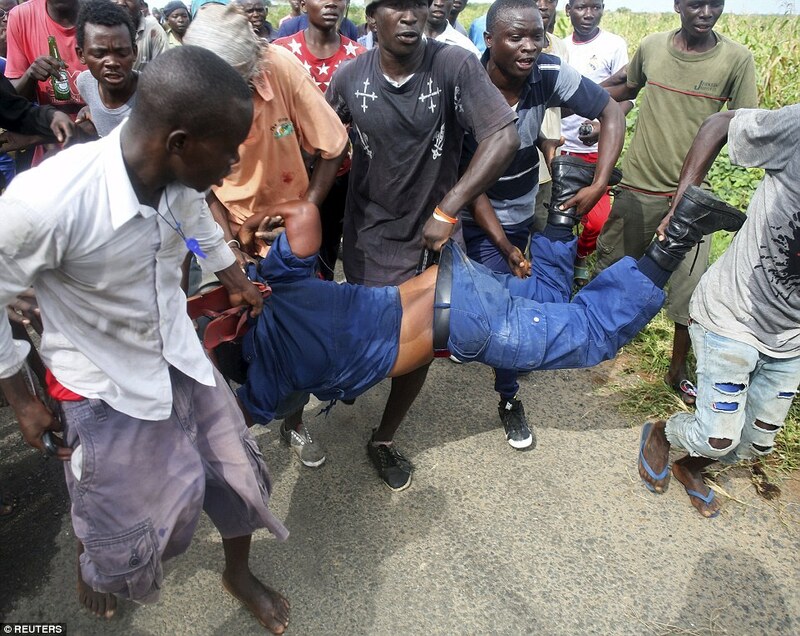 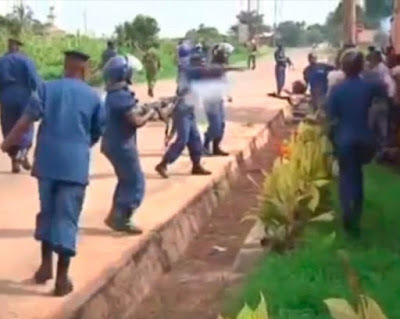 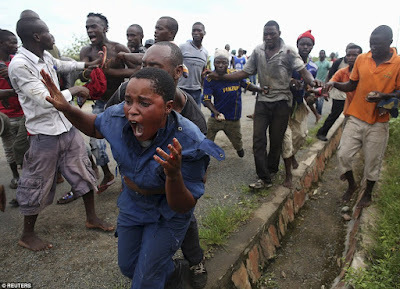 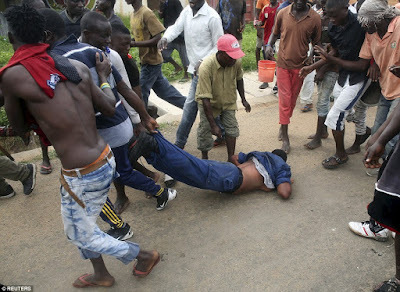 The incident which took place on the streets of the capital Bujumbura, had officers clashed with dozens of rioters who had taken to the street to demonstrate against President Pierre Nkurunziza's controversial bid for third term in office. Video footage shows the female officer looking agitated as she and her fellow officers slowly move towards the rioters, who stand pressed against a brick wall. 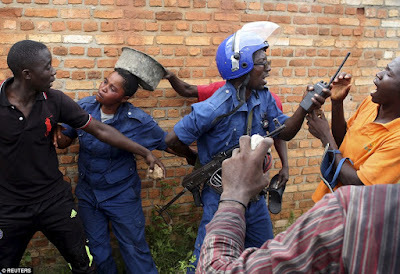 Moments later a brief scuffle between one of her colleagues and a rioter leads to her shooting at the man from no more than ten feet. 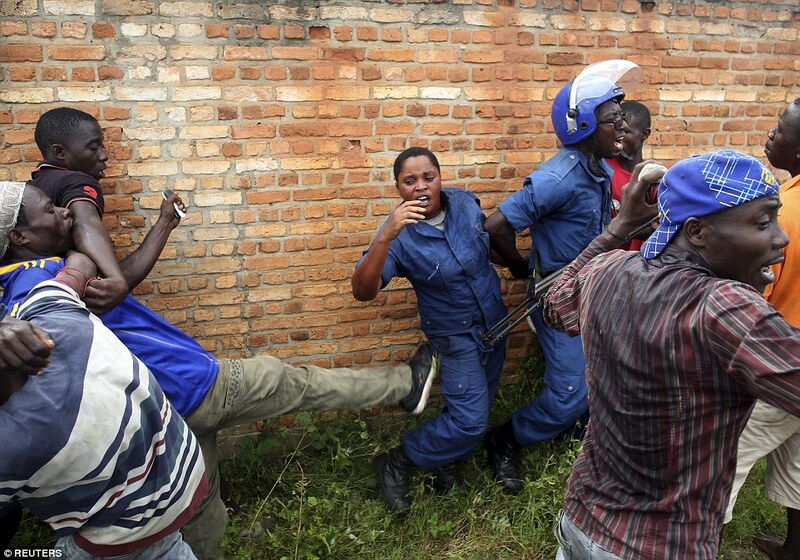 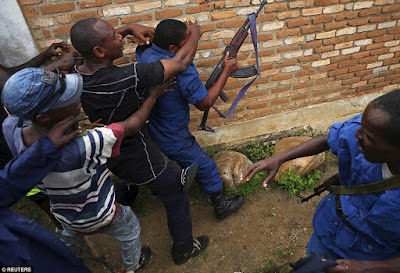 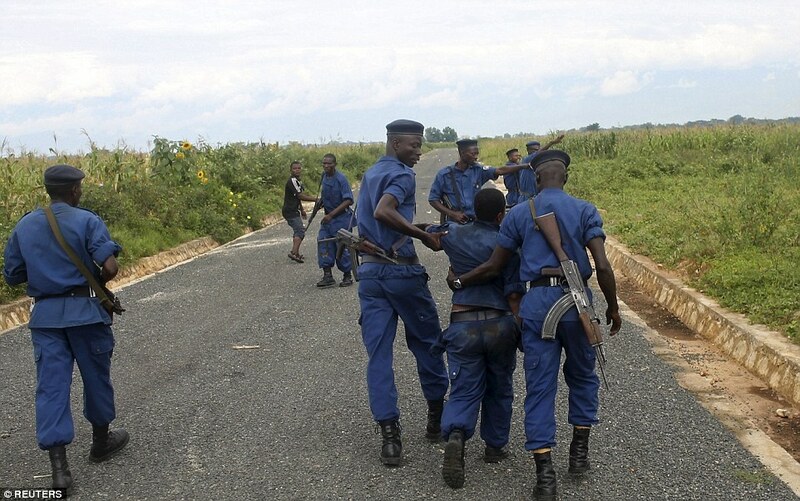 Few seconds after the shots were fired, the policewoman was punched, kicked and dragged along the streets of Bujumbura by a furious mob who managed to lynch her from her colleagues.